Posed portraits of friends and family are the go-to examples of traditional wedding photography. In this style the photographer usually gets involved to help pose and direct the people in the photos. 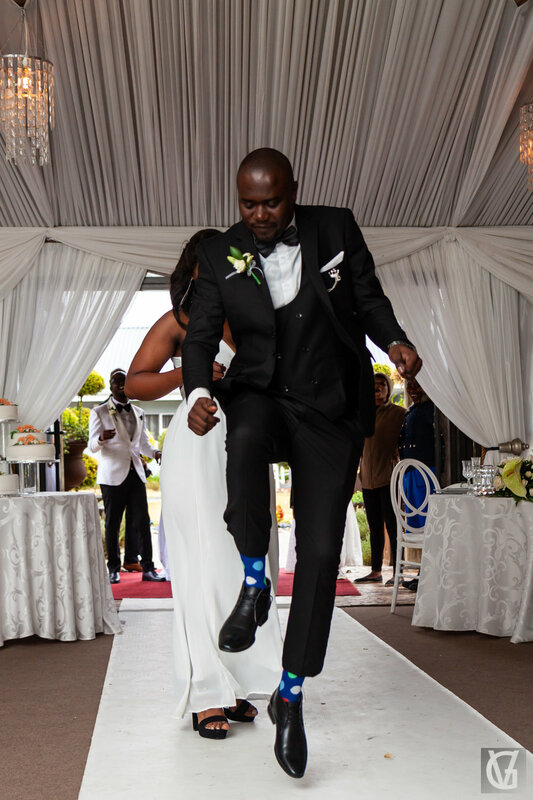 Traditional wedding photography is a style that you see used at just about every wedding in some small way, but is often paired with another style, like documentary, for the rest of the time. This style takes a photojournalistic approach to a wedding day. The photographers try to be as out of the way as they can in order to capture authentic, candid moments of the wedding day as it happens. For a photographer it requires a lot of skill and quick thinking to change camera settings and get the shot from the best angle. Documentary wedding photography is often paired with another style, especially for the couple’s portrait session where some posing must be done, though documentary photographers will often pose couples in such a way that it still looks natural and real. Inspired by the fashion world, photographers who employ this style like to pose people in ways that you might find in magazines. Emphasis is put on crisp lines, and clean framing of each portrait. Dramatic style photographers often use additional or dramatic use of lighting and other techniques to add an extra dramatic flair to an image. Because of the technical demands, these photos can often take some time to set up and capture perfectly, though the effects can be great. Artistic wedding photography uses different, unexpected angles, and unconventional framing to create unique and beautiful images. This style requires lots of creativity from the photographer to create unique images, often in a way that shows the personality of the couple.